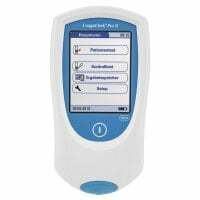 Blood coagulation and INR levels can be quickly and easily tested with an INR machine. 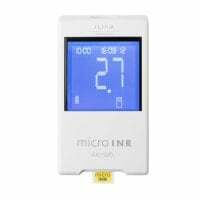 In our online shop, you will find a wide range of portable meters for testing INR values as well as the compatible test strips and control solutions. 36,78 EUR* Not ready for shipping. Reserve today and we will ship as soon as possible. 229,94 EUR* Not ready for shipping. Reserve today and we will ship as soon as possible. 680,00 EUR* Not ready for shipping. Reserve today and we will ship as soon as possible. 46,40 EUR* Not ready for shipping. Reserve today and we will ship as soon as possible. 280,00 EUR* Not ready for shipping. Reserve today and we will ship as soon as possible. INR monitors provides a simple and swift measurement of the blood coagulation level without long wait times associated with testing via a laboratory method. 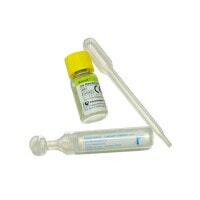 An INR meter is necessary for all patients who need to take a blood thinner (e.g. Warfarin) due to a condition i.e. people with a heart valve replacement, thrombophilia (increased risk of developing a clot) or atrial fibrillation. Anticoagulation medications serve to slow blood coagulation and, as a result, effectively reduce the risk of heart attacks and pulmonary embolisms. Of course, anticoagulants also cause open wounds to close much slower, which can lead to dangerous levels of blood loss in larger wounds. If overmedicated, spontaneous bleeding, such as nose bleeds, can occur. Therefore, it is important to perfectly dose the patient. That can only happen when the patient's coagulation level is regularly monitored so the dosage can be administered, accordingly. 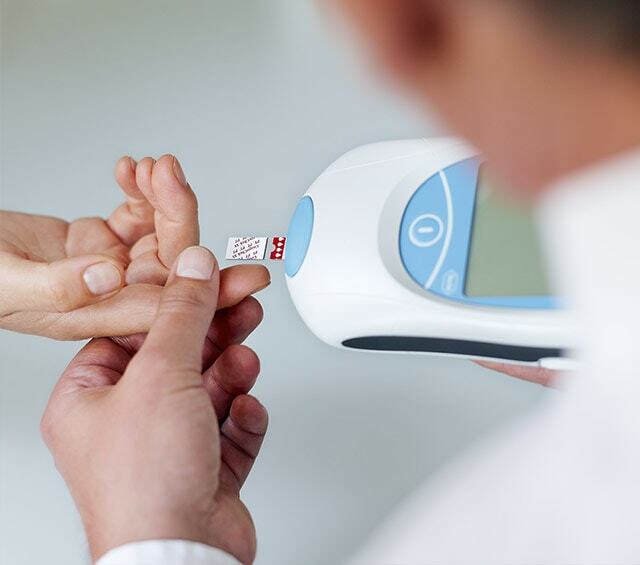 Roche offers a system that provides the patient the freedom to self-test PT and INR values in the privacy of his/her home; helping them responsibly dose their anticoagulation medication without harming their health. 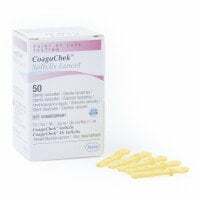 The CoaguChek INRange device is just as easy to use as a blood glucose meter and can be used for self-testing at home or on the go. The result is displayed as INR, quick percentage or seconds. Contrary to coagulation testing in the lab, home testing with this device is much simpler. The INR test only requires a single drop of capillary blood, drawn from the finger tip or ear lobe using lancets, to be applied to the strip. 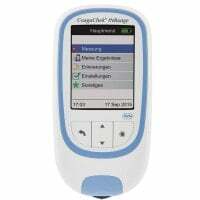 The device begins testing for INR values and quickly provides the result obtained from the strip. This makes the INR test quite comfortable for the patient. 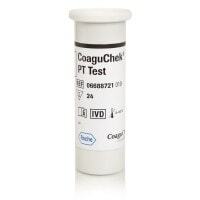 In addition to the CoaguChek INRange monitor for patient use, Roche also offers the CoaguChek Pro II system: an INR meter for professional use by medical personnel. 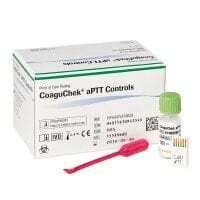 This POC device is used with heparin suppressing test strips, which are insensitive to increased fibrinogen concentrations and low haematocrit values. 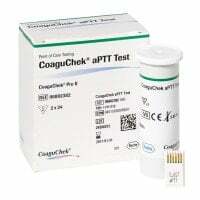 With that, the CoaguChek Pro II INR machine can deliver the collected result in many different ways; via Ethernet, WiFi or QR code. 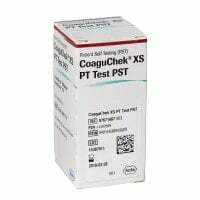 In the INR Machines category, you will find the popular CoaguChek Pro II INR meter from Roche, the CoaguChek INRange device as well as compatible accessories; all at affordable prices. 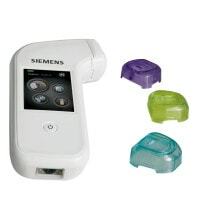 Accessories for INR machines include control solutions to ensure your INR machine is functioning properly, lancets for drawing blood as well as CoaguChek XS test strips for PT and PST or CoaguChek PT and aPTT test strips. 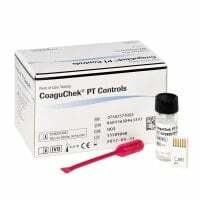 Although Roche produces some of the more popular equipment for INR testing, Praxisdienst also supplies you with monitors and compatible accessories from renowned brands like Siemens or Axon Lab. 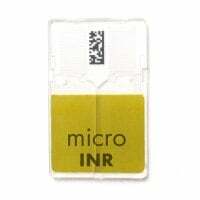 These include the Xprecia Stride device and the MicroINR device, both of which are designed for point of care testing using the appropriate test strips. Do you have questions about our INR machines or need information about the proper accessories? Our customer support can be reached by telephone, email or live chat.